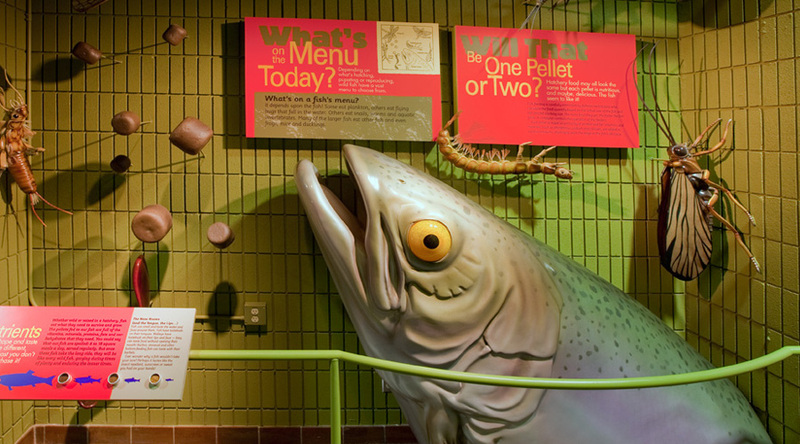 Tucked into the Pearce Estate Park where the Bow River turns south, is Bow Habitat Station—an interpretive centre to educate visitors of all ages about Alberta’s aquatic habitats, fish, and water conservation practices. 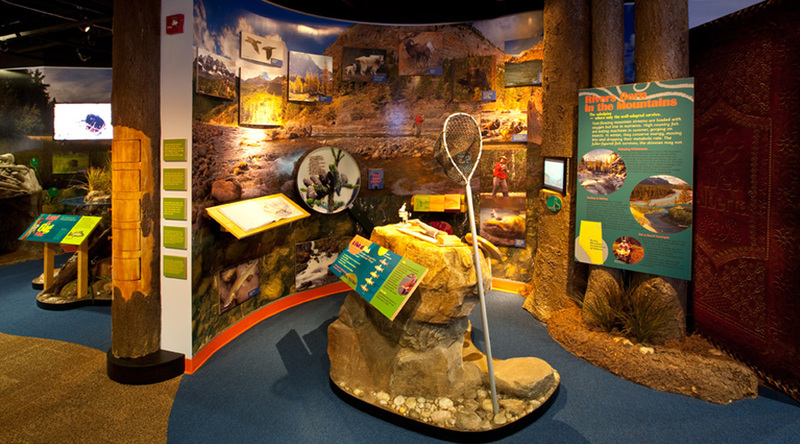 The journey through Bow Habitat Station begins as visitors leave the hustle and bustle of the city and enter the quiet natural environment of Pearce Estate Park. 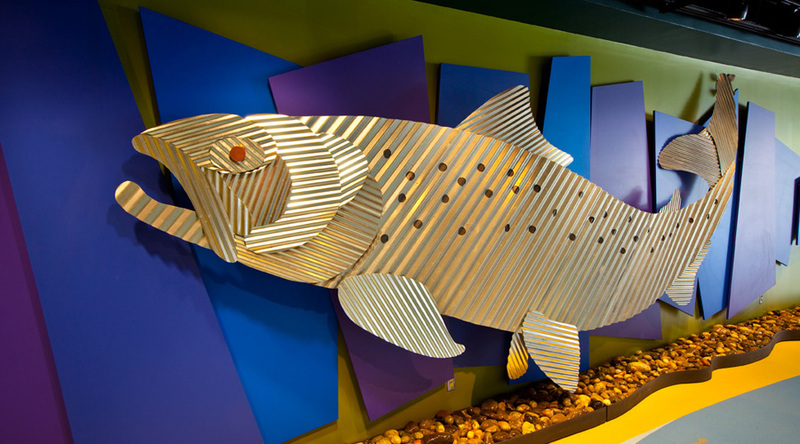 After crossing the threshold of the Bow Habitat visitors centre, explorers are transported into a sense stimulating environment filled with colorful imaginative exhibits that cannot help but be investigated. 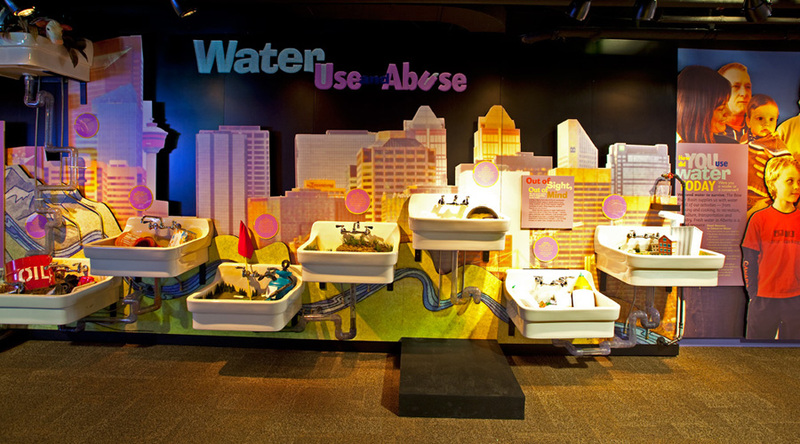 The lighting design concept enhanced the exhibit designs by creating a sense of drama using contrasting light levels and quality color rendering lamps to attract the eye and highlight the 3 dimensionality of the exhibits—making them pop! Lighting control is a key element in creating the interactive and simulating education experience, while also allowing the facility to be maintained. Developing the effective levels for drama and also ensuring the signage is readable was a balance achieved through commissioning activities of aiming and fine tuning the light levels. 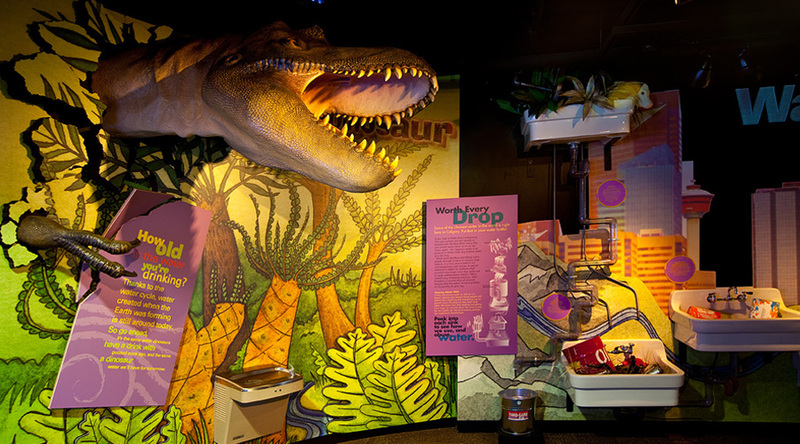 While creating the exhibit scenes, Lighting Design Innovations also utilized the control system to find energy and maintenance savings through dimming; the bill for electricity is reduced and the lamps last longer. 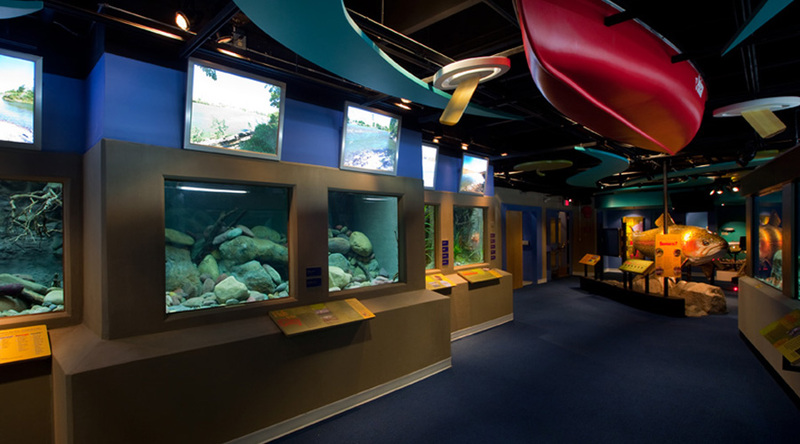 Special care was taken in the placement and aiming of luminaires to ensure that the lighting did not interfere with the live fish in the lower level exhibit tanks and neighboring Sam Livingston Fish Hatchery connected to the visitor’s centre. 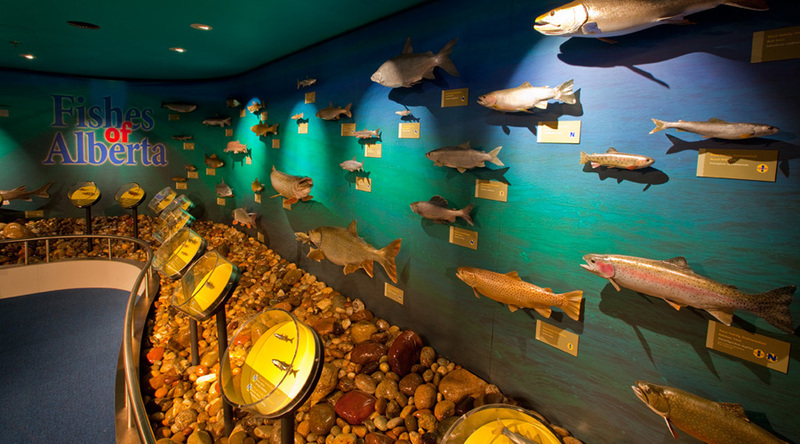 The completed realization is a multi-leveled exhibit experience that enlightens visitors to the environments above and below the water’s surface—bringing light to the role we need to play in minimizing our footprint on Alberta’s aquatic ecosystems. 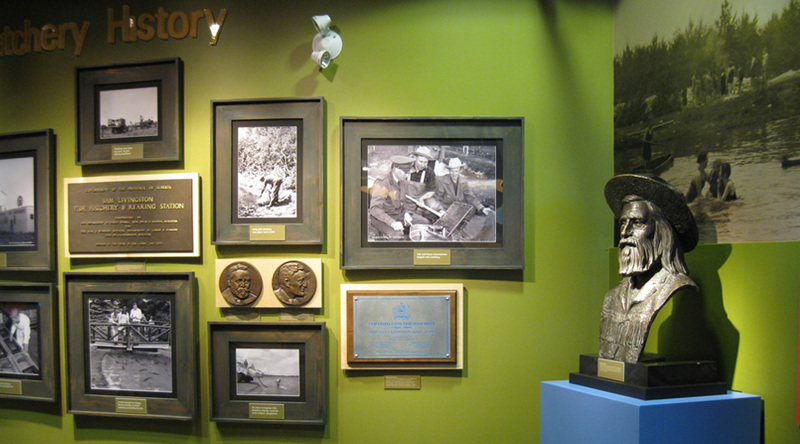 The lighting design installation and commissioning were complete as of June 2011. Bow Habitat station is now open to the public. Please visit their website for more information, hours of operation and upcoming events.